The sets changed throughout the 7 seasons. On the DVD Special Features we learn that the sets are connected in ways you wouldn’t expect. 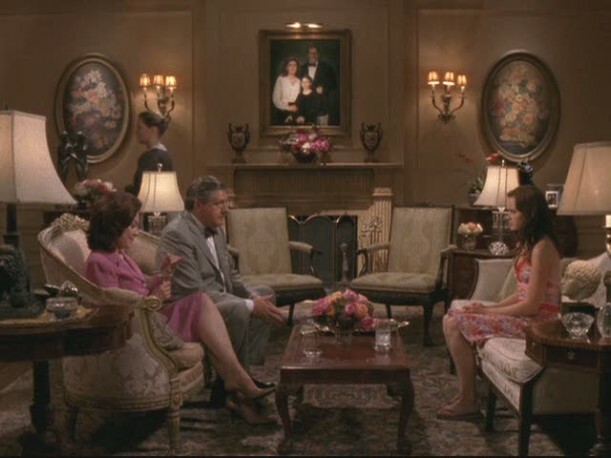 She says the sofa in Lorelai’s living room was so uncomfortable, it was like sitting on a pile of bricks. They spent a long time searching for the perfect actress to play Lorelai. Right before they started filming the pilot, Lauren Graham came in and they knew they had found her. Unfortunately, Graham was on another show called “M.Y.O.B.” at the time (anyone remember that one?). If it was renewed for another season, they’d lose her. They took a chance and cast her anyway. It only lasted 5 episodes. 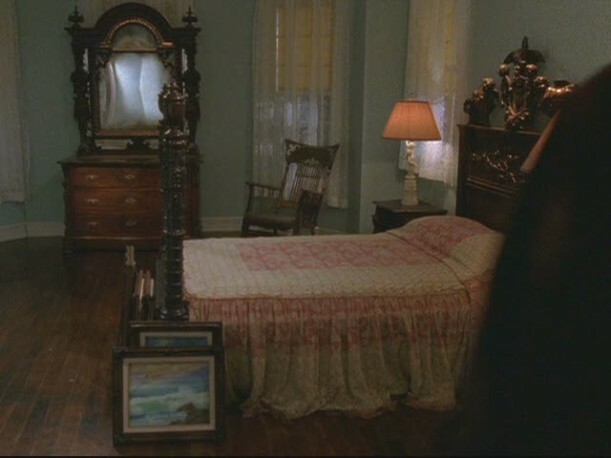 Rory’s bedroom is off the kitchen, which I always found odd. The second story of the house looks plenty big enough for more than one bedroom. Graham now plays Sarah on “Parenthood” (you can see my post about those sets here). The only time they showed this real exterior was in the pilot. From then on they shot on a soundstage. Richard and Emily agreed to pay for Rory’s school tuition as long as they came to dinner once a week. 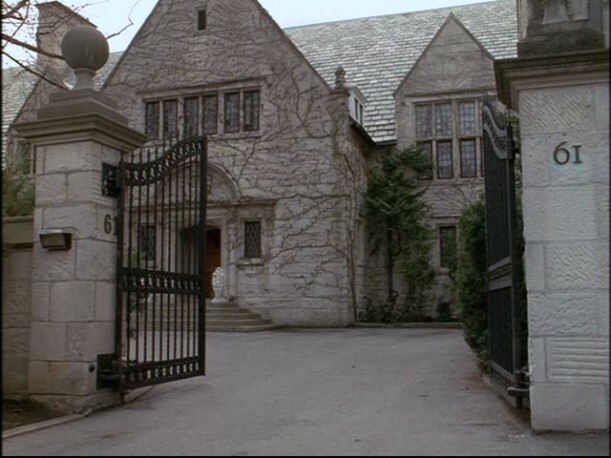 The pilot episode was shot in a real house in the suburbs outside Toronto. The interiors were recreated on a soundstage after the show was picked up. 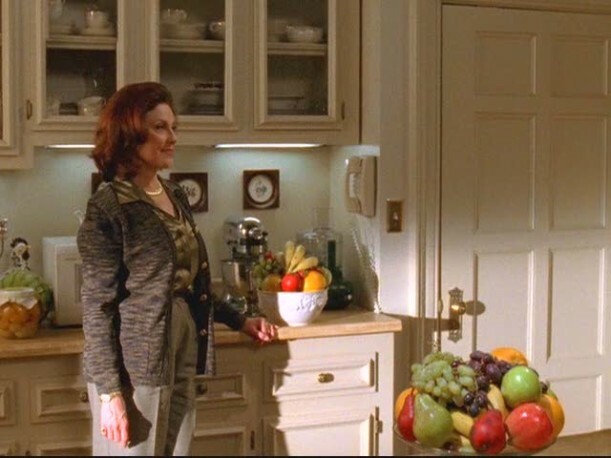 Kelly Bishop is a Tony-award winning actress and dancer who said she wouldn’t be friends with Emily in real life. 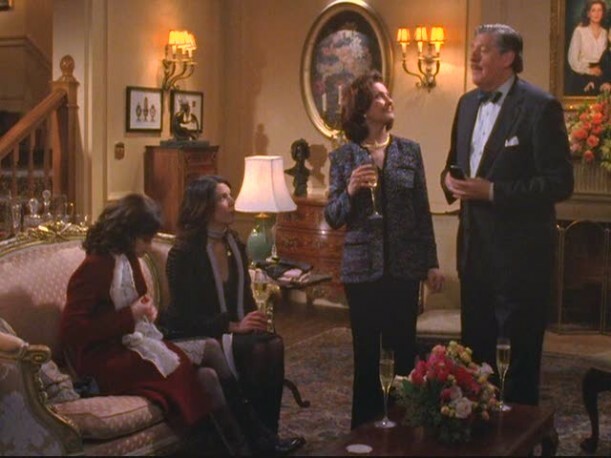 Richard Gilmore was played by Edward Herrman. 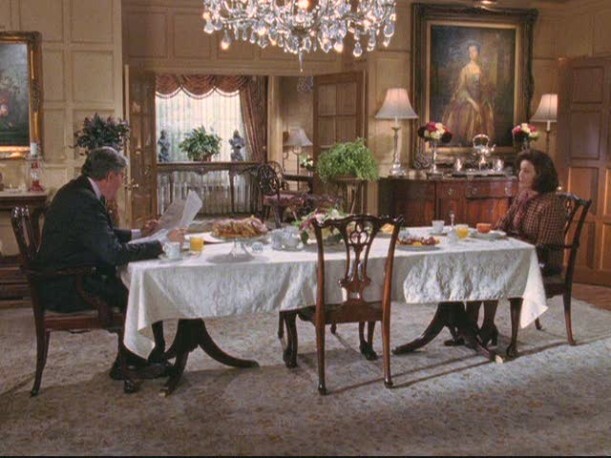 The producers made a decision to show how static and stiff life inside the Gilmore mansion was by keeping the camera in place for most of the scenes inside it. When the characters are in Stars Hollow, the camera moves around a lot to reflect the energy of the town and the lack of formality that goes along with Lorelai and Rory’s lives there. 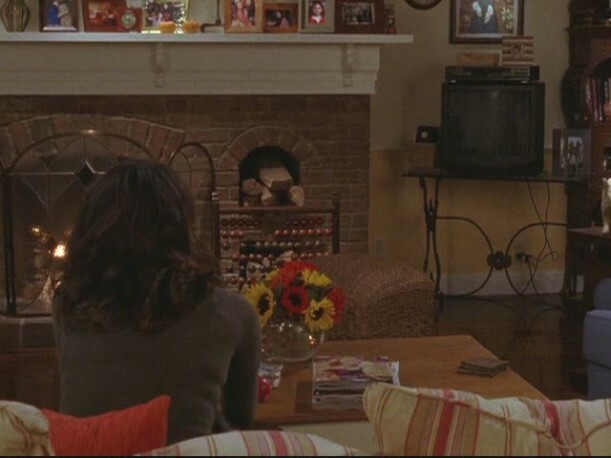 In Season 6, Rory moved into the pool house, and Emily went all out in redecorating it for her. Matt Czuchry played Rory’s handsome, charming, and filthy rich boyfriend Logan Huntzberger. He now plays Cary Agos on the popular new drama “The Good Wife” (you can see my post about those sets here). 1. I need this Stars Hollow plaque, Santa. 2. 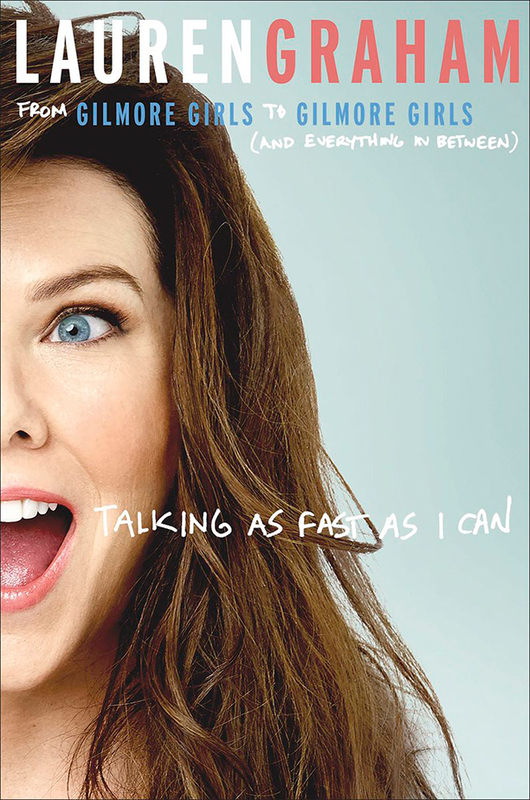 Can’t wait to read Lauren Graham’s new book, Talking as Fast as I Can. 7. 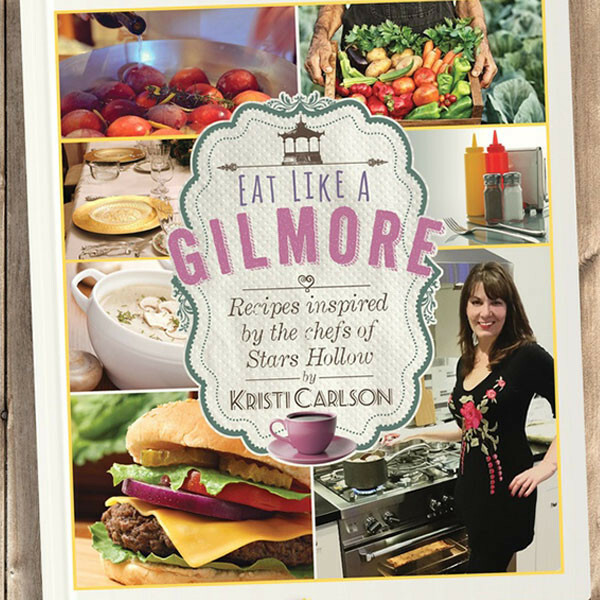 I refer to my Gilmore Girls Companion all the time — it’s got the scoop on every ep! 10. I own every season on DVD, and they have tons of special features. *2016 UPDATE: I have lots of photos of the houses from “A Year in the Life” now, too! You have done it again Julia!! I love seeing all of the details through your eyes!! .-= Karena´s last blog ..Beth Cosner Designs Jewelry Giveaway =-. Gosh, this reminds me how very much I miss this show! 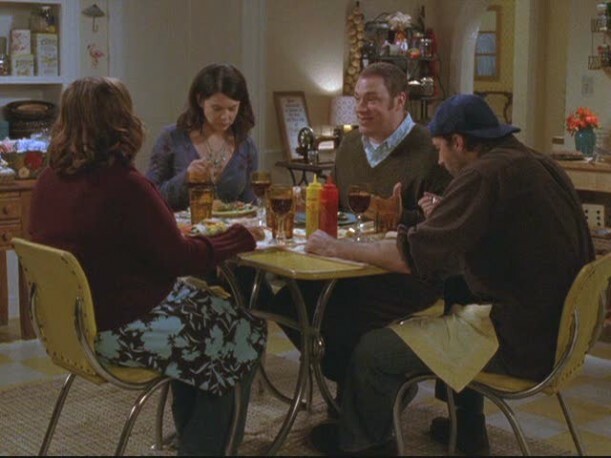 Oh, I’d live in Lorelai’s house, hands down! Wow, Julia you are such a fan! I love the exterior of the house after the reno and the pool house looks like such a happy place. .-= Vanessa´s last blog ..Stylish First Home (Part 2): Dining Room =-. Great post Julia! One of these days I will take some pics of the neighborhood in Hartford where the Gilmore mansion would be in real life. And I love The Good Wife too, thanks for placing “Cory” for me, couldn’t put my finger on where I “knew” him from! .-= Robin´s last blog ..The original Charlie’s Angels? =-. Love it, love it, love it! 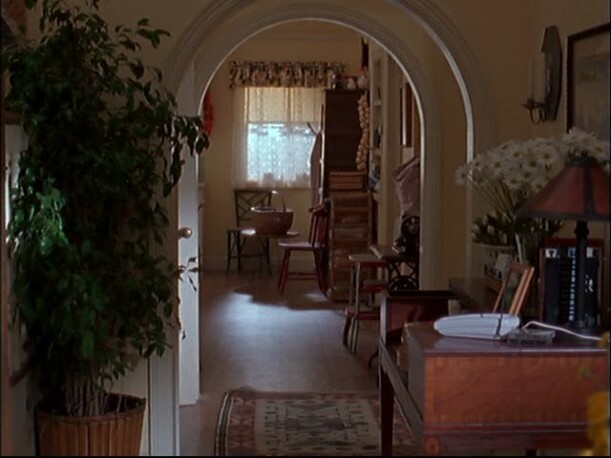 I would live in Lorelai’s house for sure. So quirky and fun yet traditional and quaint. .-= Loida´s last blog ..Why a Mediator with God? =-. Lorelai’s house, definitely. What would you call her decorating style? It is exactly the look I go for in my own home. Love the Gilmore’s and also owe all 7 seasons. I have watched them all a few times. I enjoyed looking at all the photos. It might be time to drag out the DVDs again! The ending was lame…they needed to finish it right or keep going! Thanks, Julia! .-= Bonnie Mattson´s last blog ..Huggy Health =-. I’d forgotten how much I loved this show. I’ve never bought a DVD boxed set in my life, but I think you’ve just convinced me! .-= Kerry´s last blog ..$6.98 well spent! =-. Another GREAT GG post!! Thanks again!! 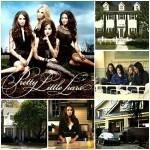 :) I would choose Emily’s house- I can’t stop looking at it–during scenes or on your blog! .-= Linda C´s last blog ..Wordless Wednesday –Little Bird Watcher–Taking Flight =-. Thanks for sharing all of these with us. I would love to live in a town like this or Ghost Whisperer’s, where you could walk into town to go to the store and be around nice people. I love that guest house. It’s almost as if it’s a another house. I would love to have a guest house someday. Out of all of the three houses, I love Lorelai’s, but I don’t care for the three windows they added. I would have kept the old window, but updated the paint color. I even like her house better then the inn. LOVE IT!!! LOVED SEEING THESE PHOTOS JULIE! Shannon and I also LOVED this show!! Thank you very much for taking us “home” again. .-= Daisy Cottage´s last blog ..I Was There =-. .-= Christina´s last blog ..mecbc: @westius If you missed it, catch it next week =-. That’s hilarious! I do the same ‘Logan!’ bit and family always jumps. 🙂 I would live in Lorelai’s house in Stars Hollow. Looks like a great place to live! I never watched the show but the spaces are really fun to look at. I love the pool house. Super chic and fun. 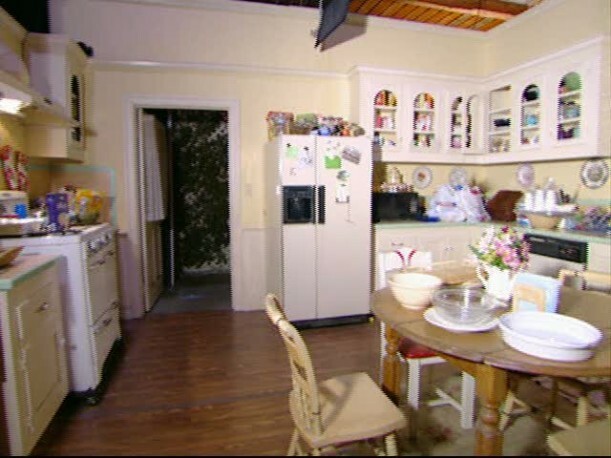 But my favorite thing is how real Lorelai’s house seems. It’s cluttered, packed full of family photos and has “stuff” where you find stuff in a real house. It looks like someone lived there for a year before they started filming. I love it. .-= Lesley @ The Design File´s last blog ..A colorful kids room to inspire your own design =-. Thanks for this post and I will be looking forward to seeing Parenthood house, I am going to like that for sure. Have a great week ahead. The pool house is my favorite … but I’m a Florida girl … so I guess that’s why. Thanks so much, Julia, for doing all of this each week! You’re awesome! .-= MissCaron´s last blog ..what’s happenin’ hot stuff? =-. .-= LeAnn´s last blog ..Just a little more color…. =-. Loooooooooooooove this post!!!! 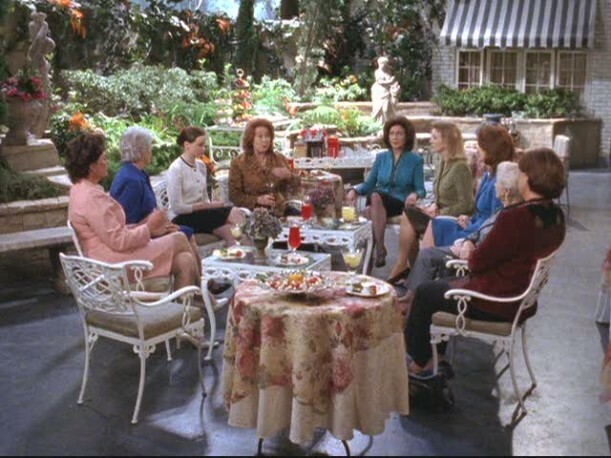 I would absolutely move to Stars Hollow if I could, and straight into Lorelei’s house! Although I wouldn’t mind moving into the pool house during the Rory Yale hiatus. It was so beautifully decorated (and a bit more my style to be honest) and who could say no to the maid service. Fancy home cooked meals and someone else doing the laundry? Sounds like heaven! .-= hip hip gin gin´s last blog ..Style Inspiration: Rosamund Pike =-. Thank You for this post 🙂 I have been waiting for this whole week. I absolutely love Stars Hollow and I would also move there instantly if that was possible. I think Lorelais house is very homey and relaxed. LOVE LOVE LOVE THE POOL HOUSE! I can just picture myself there surrrounded by my books and of course sharing a good bottle of wine with my buddies! Thanks so much for letting us peek inside these great places. .-= Amanda @ Serenity Now´s last blog ..Ode to Spray Paint =-. LOVE the Gilmore Girls. Thanks for sharing! .-= Katie´s last blog ..Jam Packed Weekend =-. My all time fave show! But I have to say, Logan was my least fave boyfriend. Blech. And my husband now tries to beat me at yelling out the cast of Gilmore Girls when we see them. If he says them first, he doesn’t get freaked out that I yell them…at least that is how it seems to be. lol! GREAT POST! Thank you! Thank you! I miss the Gilmore Girls! Thanks for a walk down memory lane. .-= Vicki @ In The Sandbox Comic Strip´s last blog ..1 Year Anniversary! =-. Thanks for showing the pool house after the renovation. I remembered loving it, but had forgotten all of the fun details! .-= Nichole´s last blog ..Garden Revamp Revealed! =-. .-= Jen @ After The Alter´s last blog ..My Maternity Store Experience =-. .-= Jenny´s last blog ..Saturday afternoon quilting and a lovely blog award! =-. Pool House definitely the FAVE here! I agree with you about the yellow/white tiles…. simply adorable! .-= Hailey Erickson´s last blog ..Events =-. It’s your fault! I just ordered all 7 seasons of the Gilmore Girls. I love stuff like this. I love the cluttered old masculine design. I see a lot of that in this series. I’d live in Lorelai’s hands down. I might change a few things about it – but it’s so cute!!! .-= Sarah @ Dream in Domestic´s last blog ..Fancy Shmancy DIY Makeup Brush Holder =-. I love that pool house so much! There isn’t a thing I would change about it! 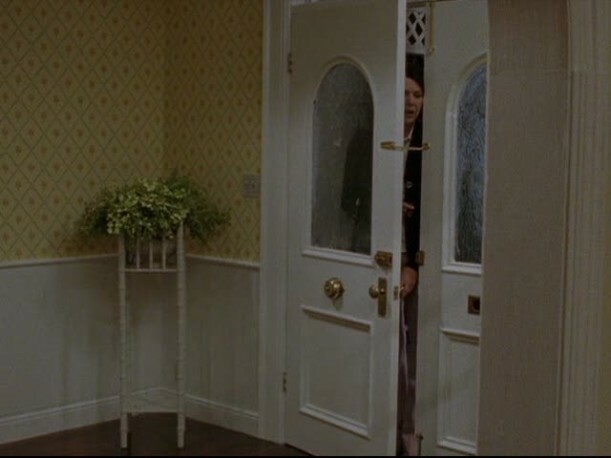 And regarding the bathroom on the first floor of Lorelai’s house, we never actually see it, but they’ve directed people to it a few times, and they always point in the direction of the closet that leads to Sookie’s! So there’s one there, but it’s a mystery as to the actual location!! I think the poolhouse is my favorite,but I do love Lorelai’s house too!! 🙂 What a fun look through all of the houses! I miss this show!! .-= Courtney´s last blog ..Love of the mundane =-. Thanks Julia!! This was awesome. I am completely psyched that Lauren Graham and Peter Krause are dating! I love the new Parenthood too and can’t wait to see the sets from that show. I want to live in the Parenthood parent’s house! Help! I have a question about the set that I’ve never been able to find! What is the portrait that hangs in Loralai’s foyer? If anybody would know or could find out, it would be you! Thanks for the post. So glad to have found your blog and especially this post! 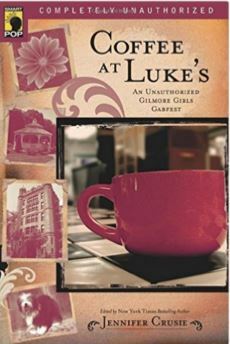 I’m a GG fan for sure, complete with the DVDs, soundtrack and a Luke’s Diner coffee mug. 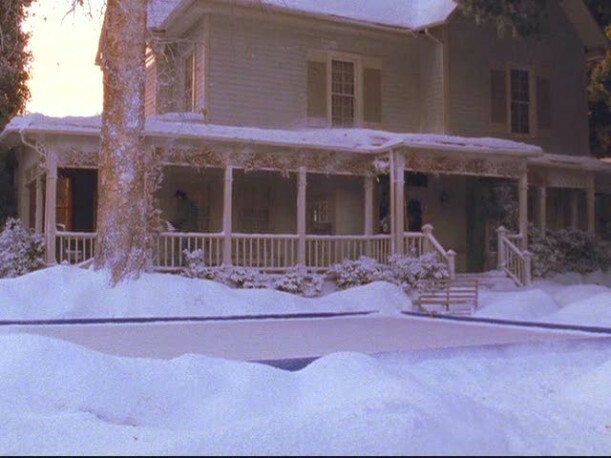 I liked Lorelai’s house for its coziness and charm, but I think Rory’s poolhouse conversion is more to my taste. 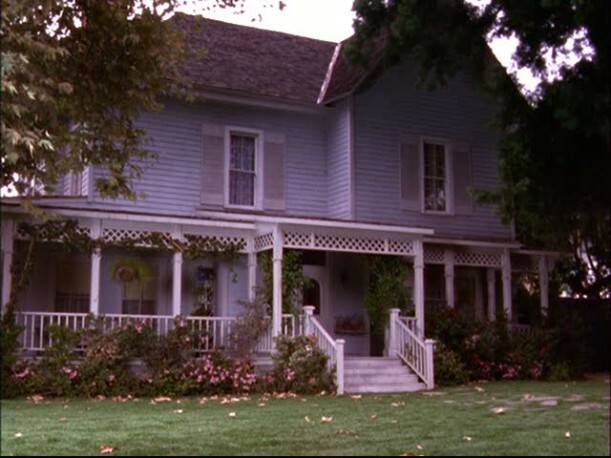 As for Emily and Richard’s house, I just saw a rerun from season four when Lorelai and Sookie go to the Gilmore mansion, and the exterior is also shown in this scene. Sookie is floored that Lorelai grew up there. 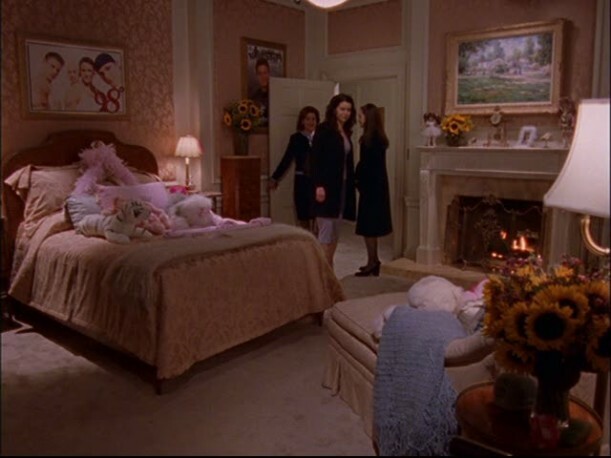 A study in contrasts from the glorified shed Lorelai moves into with young Rory at the Independence Inn after she leaves her parents’ home. 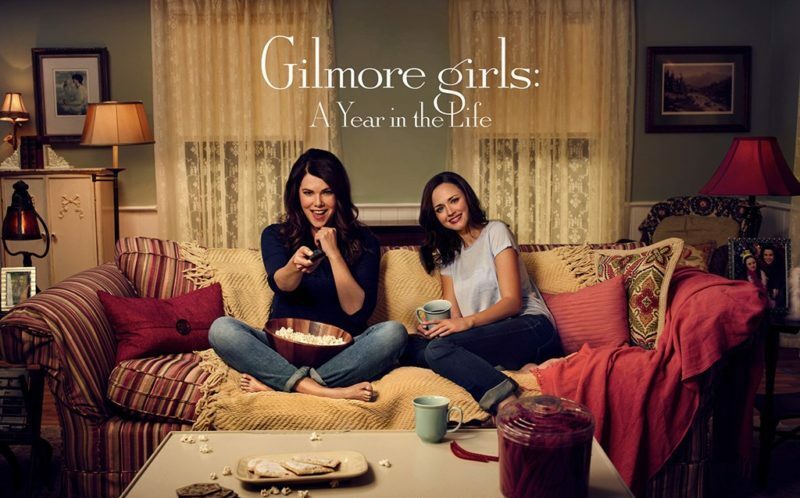 Ahhh, thank you for letting me daydream about Stars Hollow and my all-time favorite show again! 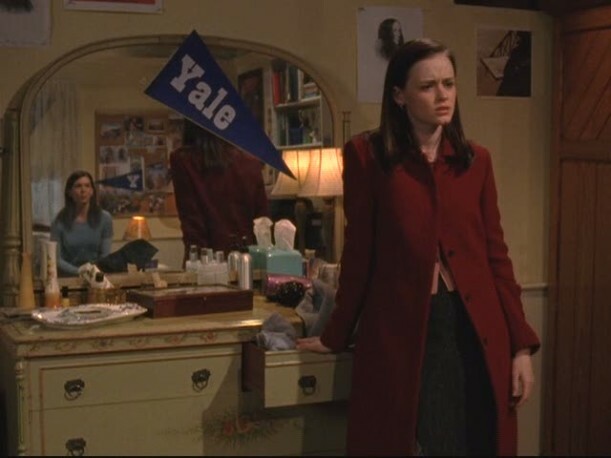 Just to prove that you are not the only Gilmore Girls’ geek . 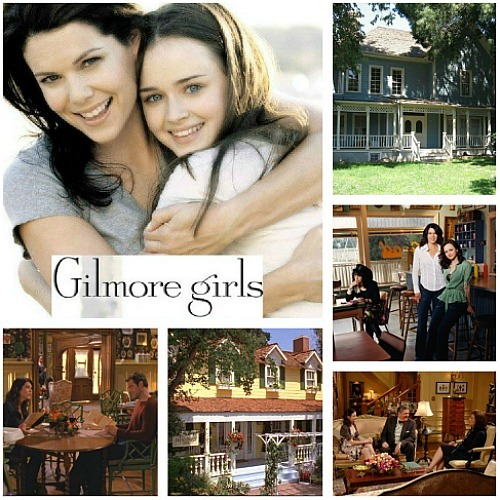 . . go back and watch the first season when Dean comes over to movie night for the very first time at Lorelai’s house. Rory disappears to the bathroom to floss her teeth or brush her hair while Lorelai goes back in the living room to sit with Dean. (Lorelai had disappeared into the kitchen to give Rory and Dean space.) At any rate, the bathroom is to the left just after the arch if you are going from the living room to the kitchen. You don’t ever actually see the bathroom, I don’t think. In later episodes the closet is there that keeps the boxes of Dean and Max stuff. 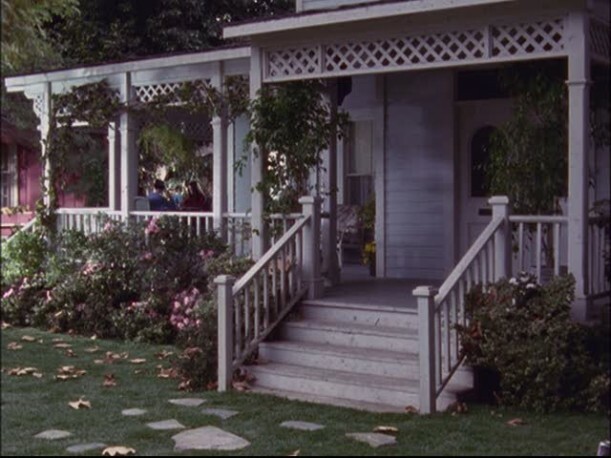 Also, I was always bothered that the outside picture of the Gilmore mansion didn’t match the set – they never walk up steps but have many scenes here. Yes, I am that much of a geek. I obviously have watched a few too many times. I can’t help it. 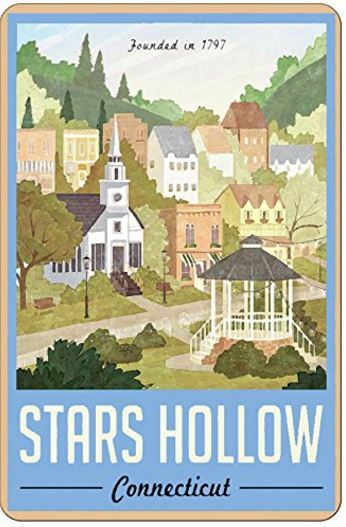 I, too, dream of living in Stars Hollow. My husband and I are searching so if you find anything similar please let us know. . . I always wondered about Rory’s bedroom being off the kitchen too! It just seemed so odd, but everything else about Stars Hollow was odd, so I guess it kinda fits right in. This is my first time on your site, and I am positive that I will be visiting often! 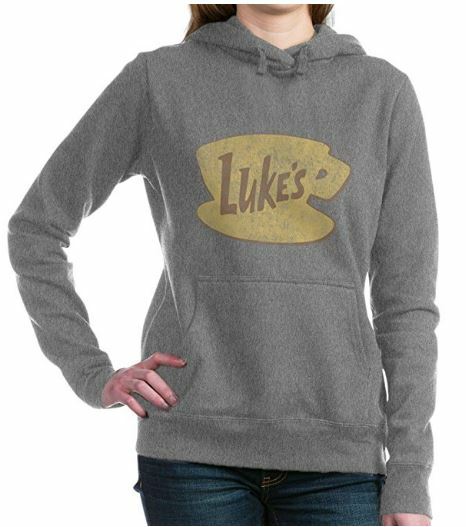 I am a huge Gilmore Girls geek. I would move to Stars Hollow in a flash. The Dragonfly Inn seems the perfect place to visit and work. It’s so inviting. The writing of the show and looking at the houses always kept me glued each week. I still watch reruns and building my DVD collection. I’m a big fan of Lauren Graham and love her in Parenthood. Oh, do I love the girls! I record the shows daily on my DVR, and then while I’m making dinner, I play them on my kitchen tv. A bit obsessed, I must say. I do think they need to somehow address the very lame way they ended the series though. Not what the devoted fans deserved! Thanks for the fun tour. 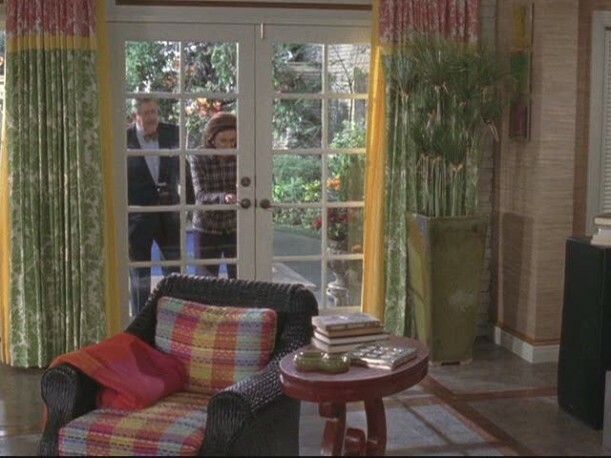 I would live in Lorelai’s house, but I think the decorating job at the Dragonfly is the best I’ve ever seen. Ever. Love it! Thanks again for all your work on this one. It was worth the wait to see the shots of the pool house. I’ve paused the DVD a million times to see the details on that one! Too bad the series ending wasn’t as good as these posts! she dressed up & jumped off the scaffle with Logan…umbrells….ahhhh young love !!! Just was so romantic !!! Thanks for sharing the behind the scences. .-= Jennae @ Green Your Decor´s last blog ..My Wilsonart Experience: Floor Status More than 9 Months Later =-. As soon as I saw “Parenthood,” I knew you’d be covering it here, eventually! I really don’t like the show much, but the sets are beautiful. 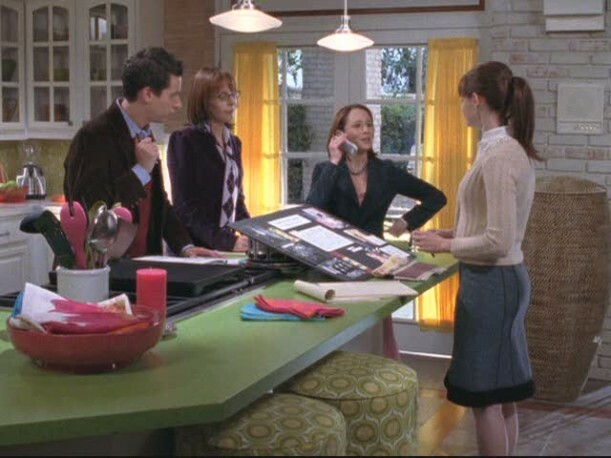 I would totally choose the Gilmore’s guesthouse, post Rory-renovation. It is so light and fun and pretty in a comfortable, cottage-y way. I LOVE it. .-= Jay´s last blog ..Swearing in =-. OMG I am one the BIGGEST GG fan’s!. I own the box set which was given to me as a gift. I love so many of the quirks about the show. Julia; I love the work you’ve done putting this website together. When I first received the GG box set and finally finished watching it (bf at the time was TOTALLY AGAINST IT) i scoured the net to find all sorts of info to quench my “thirst” for more GG info and tidbits. I love Dean’s rugged looks later in the seasons…longish hair, stubble….mmmmmm yummmy!! My god I could go on and on forever. As for which house to live in…def Lorelai and Rory’s house. Comfy, inviting, cozy and lived in. A home, not a house. I own the box set as well!!! I love having it with all of the behind the scenes and such!!!! 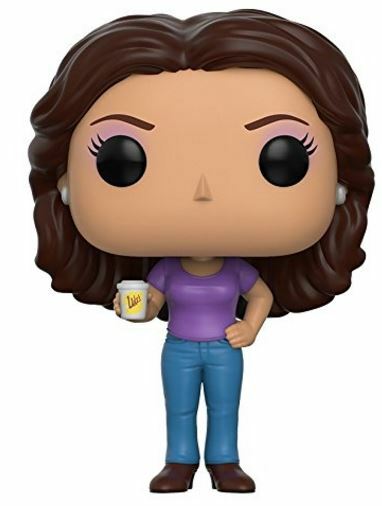 It is def a great gift for GG lovers!!!! 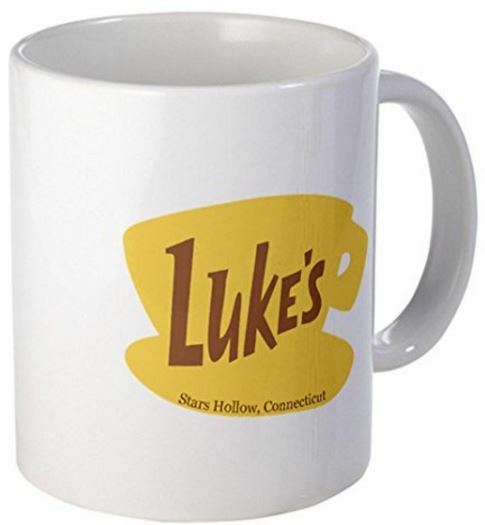 Another Gilmore Girls fan here . . . thanks for the post! 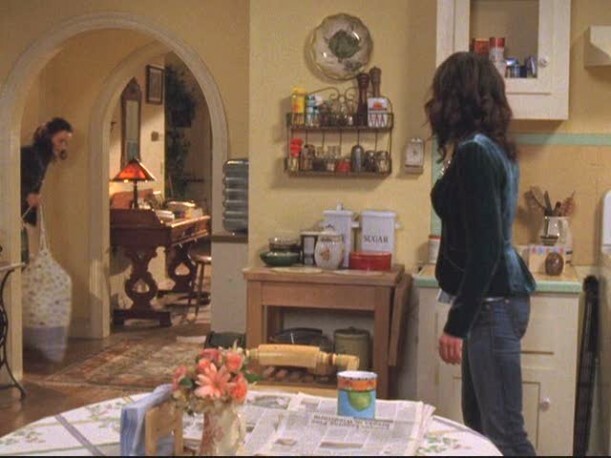 I’d love to live in Lorelai’s house! always love the sets on this show. 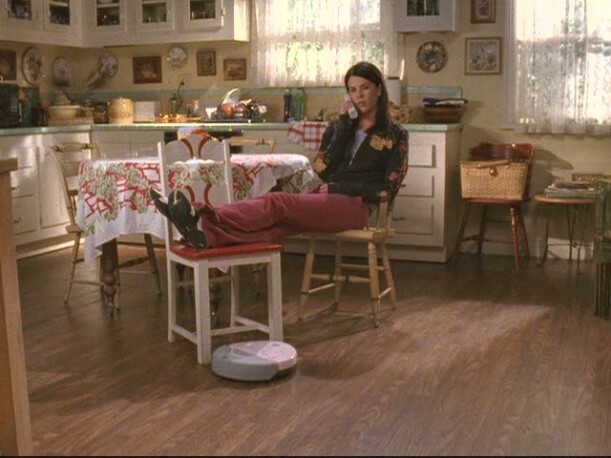 i’d love lorelai’s house, but change out a lot of her stuff. especially knicknacks and some of the mismatched furniture. it is quite weird that someone would allow their only child – let alone daughter – to sleep on the first floor alone. 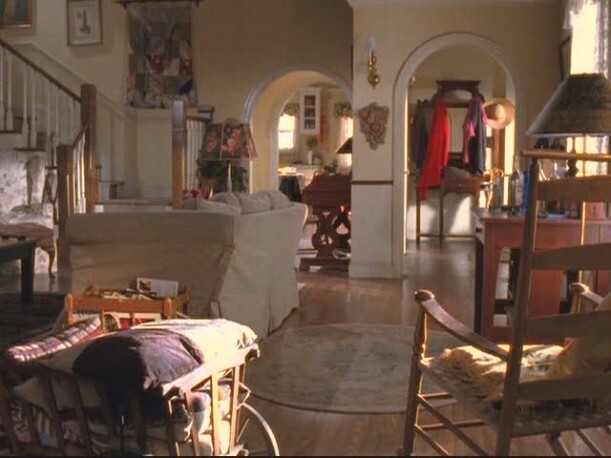 I would most definitely live in Lorelei’s house, pre or post renovation! 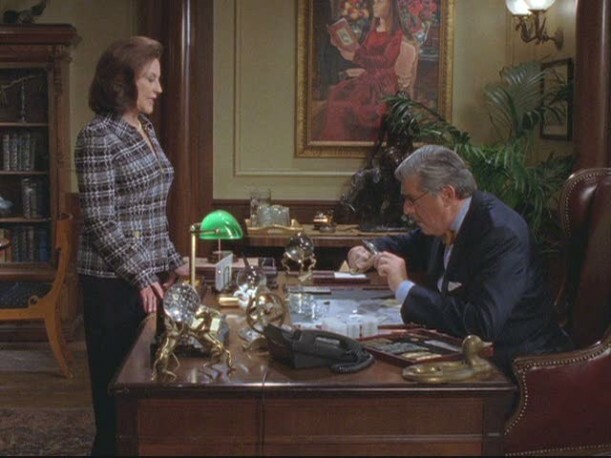 I’ve been a faithful fan since the beginning, and I’ve always been in love with the painting in Lorelei’s foyer. I’ve been trying to find a similar painting, but so far, no luck. I really enjoyed your blog. My daughter introduced me to watching Gilmore Girls and it made a nice break for me between appointments. What drew me to your blog though was episode 6.3 (UnGraduate). There’s a scene where Sookie and Lorelai are chatting in the kitchen and I see steam rising from the Hobart dishwasher. I was shocked! I almost entered into a dialogue with myself over whether I had been mistaken about the set. 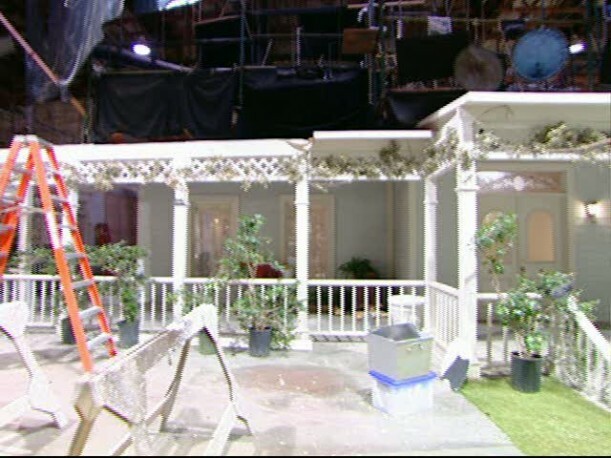 Was this actually a small B&B that WB had built…Thanks to your photos of behind the scenes, that was set to rest quickly. But it has left me wondering whether the crew actually used the kitchen after filming for their snacks and drinks. I was just so very amazed to see steam rising out of all the right parts of the washer, which suggested that it had been installed to actually run! I’m sure there are many people who become drawn into these worlds where life is created that they can sometimes become lost. The behind the scenes shots are valuable to help those individuals see the truth. Nevertheless, it’s a nice brief escape. Thank you! It was a nice escape from my work! .-= Father Bill Haymaker´s last blog ..A Bedside Prayer for Death of a Child =-. 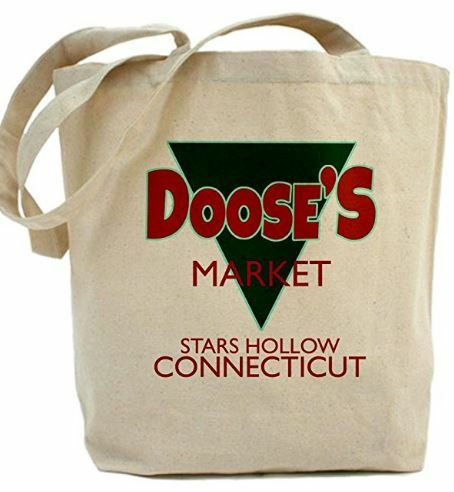 thank you for sharing this, along with the previous stars hollow tour! I too, am a “GG” fan! And I’d live in Lorelia’s house! Oh thank you for this post!!! 🙂 I’m late coming to it, but better late than never! .-= ‘Aunt Amelia’´s last blog ..Monday! Christmas! Yule! Christmas! Yule! Christmas! – =-. .-= Jenny´s last blog .. ABOUT US =-. 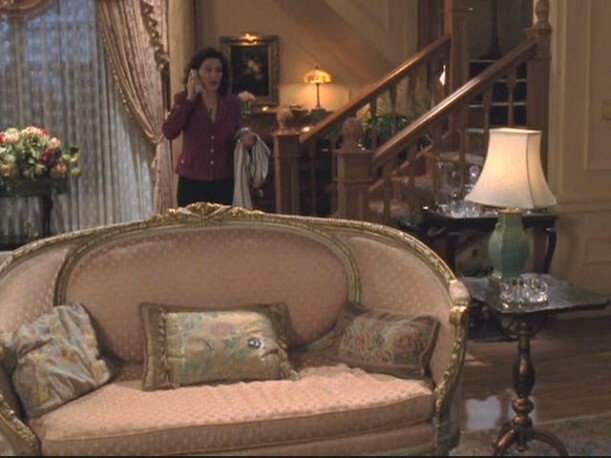 I have been looking for a sofa that was in the Gilmore Mansion it is the cameoback sofa. On the pictures of the mansion when you put the mouse over the picture they call it the Gilmore House Sofa. I been looking every where for one that is exactly like it and I have been unable to find one. I was hoping that you would be able to share some info about it. Sorry, but I don’t know anything about the sofa or where they got it. I love you BIG TIME for posting this. I fell in love with your blog last week and I can’t get enough of it! I’m a GG geek myself and found this completely fantastic! Thank you. I do the exact same thing when I see Logan in The Good Wife promos. 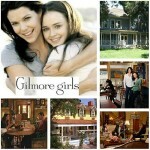 I loved this two posts you did for Gilmore Girls. My older sister and I have been obsessed with the show for years, and just last week we started to watch all the seasons all over again. Does anyone know what the picture in the entryway is? I’ve been trying to figure it out but I can’t. If you do, please e-mail me at atkinss@mymail.shawnee.edu Thanks! Sorry! I have no idea. Is the same picture used in Violet’s house on Private Practice? Yes! Its the same painting! People thought I was imagining things! I just found it! Young Boy With Dog by Samuel Miller. 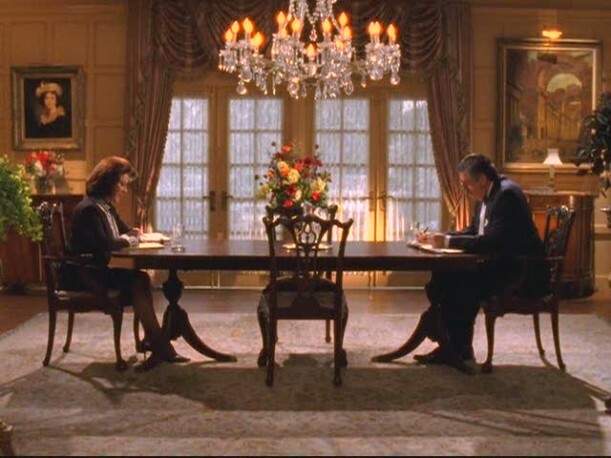 I’ve been looking for the painting in Lorelai’s foyer for years! If anyone has information….. Please let me know 🙂 I miss the girls! Very strange, but the closet is used as a bathroom too… When Dean stayed over to watch a movie with Rory and Lorelai, she went to wash her face and that’s where she went. 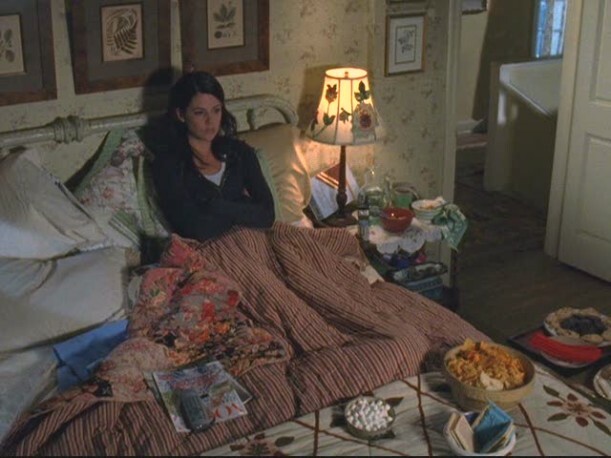 Then in the episode where she and Dean broke up, that’s where Lorelai put her “Dean-box”, she had her “Max-box” there too. I came across this little site and it’s so awesome to see everyone together like this! Just wanted to throw out there to please come visit the WB lot if you get a chance! When we were shooting, the ENTIRE show was shot on the WB lot using our outdoor sets (we call it “Anywhere USA”) – we’ve shot so many things there including Growing Pains, Dukes of Hazzard, The Waltons etc… but totally come check it out. You can walk through 2 of the GG houses and take all the photos you want. The tour is about 2 hours (we offer VIP as well) and you’ll see some pretty recognizable stuff! Hint Hint** Friends, ER, Spiderman, True Blood and our friend Ellen loves when we drop by the stage to say hi! Trust me. There are some other people named Lorelai. 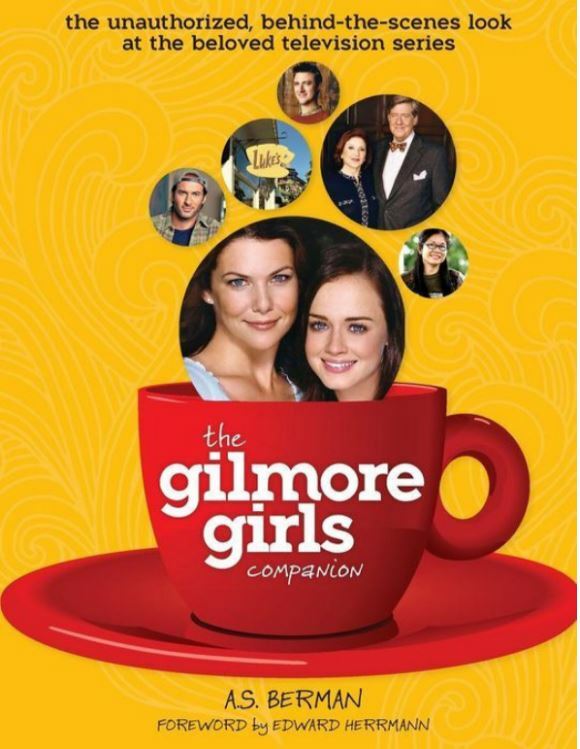 Not just in Gilmore Girls. Love the pics you have posted, I can really see the detail of the homes that we don’t get enough time to notice on screen. 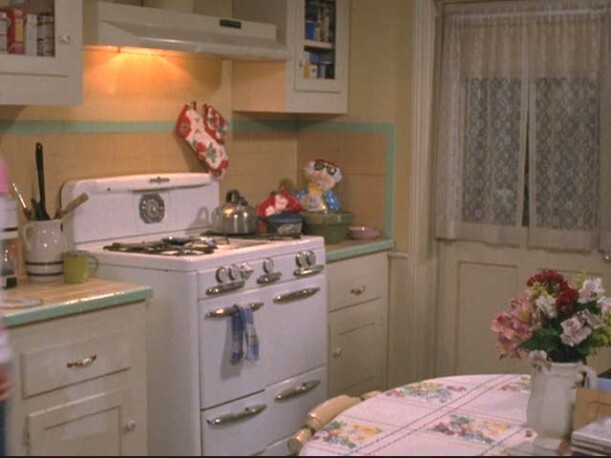 I wonder if you could add to the Gilmore home stuff with other places of residence, like the verious apartments on the show and other character’s homes too? Hi, I’m looking for photos of Lorelai’s bathroom after the renovation, could you add some ? Hi, it’s nice 2 c that I’m not the only GG fan that takes notices to all the details, yes I’ve always thought the bathroom & the closet was the same rm like when Lorelai goes to get bop it or she takes out her hat box filled with notes for Rory during their time apart. I’m pretty sure the only time you see the inside of the bathroom is when Rory is crying over Logan. Do you know if the bridge that Jess was pushed off by Luke is a real location or not? 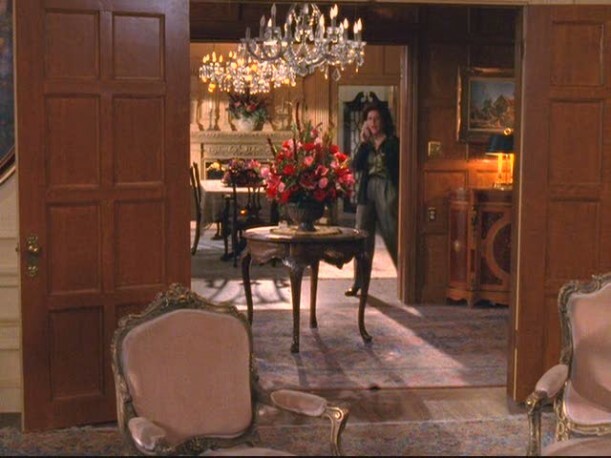 One more thing didn’t they get rid of the wall where the phone used to be in Lorelai’s house so in the later season there are 2 arch’s as you first walk in the door to the left and straight ahead? SOMEONE KNOW THE PLANS OF THIS HOUSE? 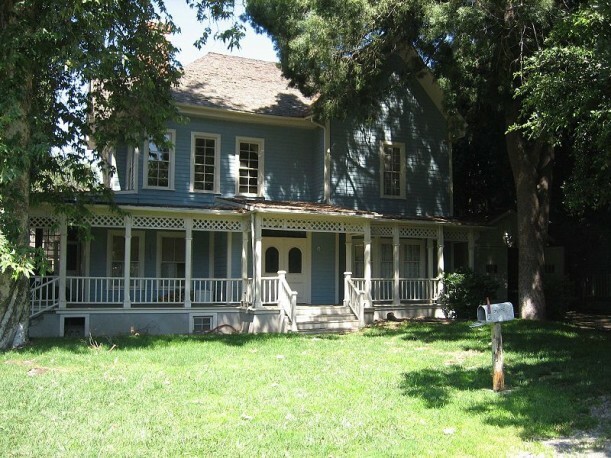 I just stumbled upon this blog, and clearly I’m a couple years late in finding it, but I grew up in the home that Lorelai and Rory lived in. The pilot episode was filmed in our home in Unionville and later re-created as a sound stage. No kidding? Wow! That’s so cool that you grew up in Lorelai’s house. Thanks, Jessica!